We need one of those……later. 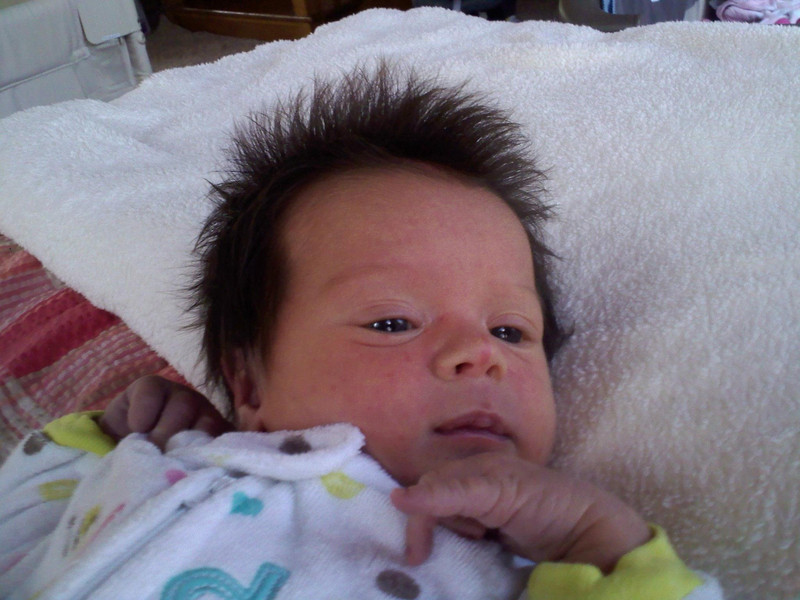 I’ve never seen hair on a baby quite like WD. That explains all the heart burn Red had when she was pregnant! There is something about holding a baby, the smell of a newborn baby, and the softness of their skin that makes me just crave to have one of my own. Even M agreed after seeing WD’s newborn photos on my phone that we “needed one of those.” He quickly added “later” to that statement. Well, later we will….for sure. And we will be the best parents in the world. But, for now we shall pack our bags for two and head to the beach in a few days. We’ll pack light and sip lots of cocktails while we’re there and enjoy this kidless stage of our life. But don’t worry WD, niece, and nephews….we’ll be sure to bring back lots of goodies for all the little ones in our lives! ← Family isn’t just blood….it’s who you surround yourself with.